Transactions of assets are to be dealt with care and precaution, as there are monetary and legal norms associated with it. 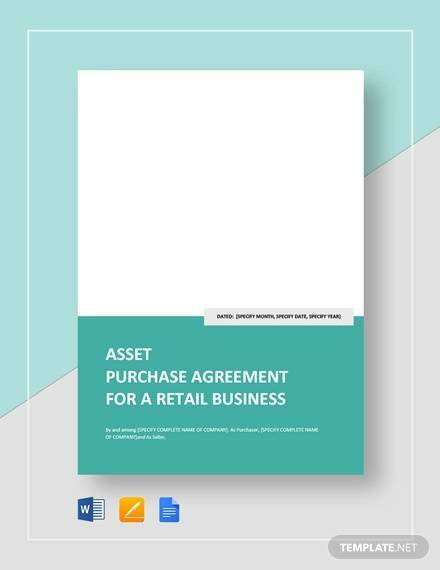 When you plan to buy an asset from another party for commercial or private use, you need to sign an Asset Purchase Agreement. These agreements ensure that the terms and conditions between the two parties remain secure. 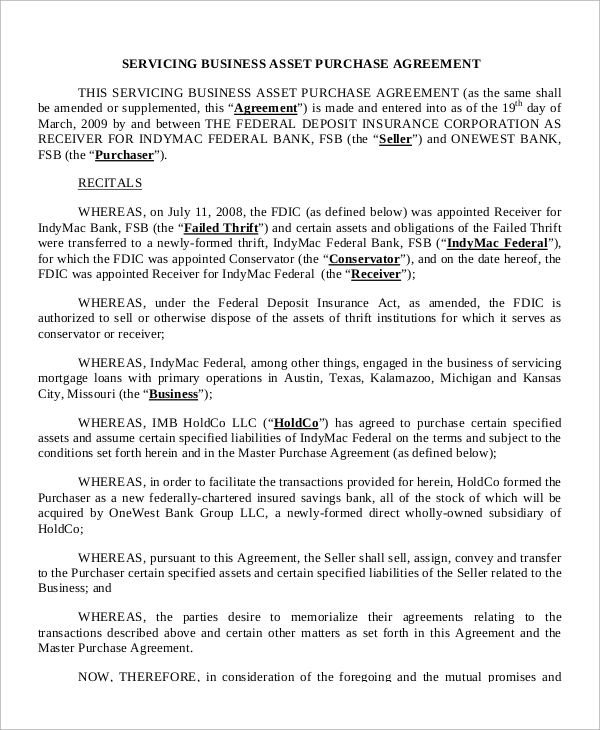 All the clauses regarding the purchase, are listed in the document. 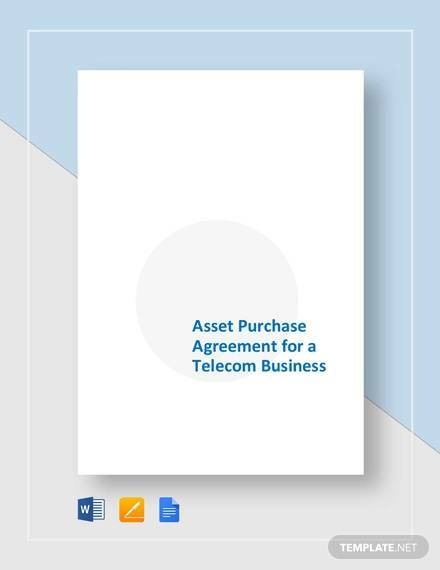 Here are some Sample Agreements of asset purchase and you may have a look at these. These templates are used by people who live in the creative world. They include artists, writers, poets and so on. The agreement secures the purchase of intellectual property by other parties. 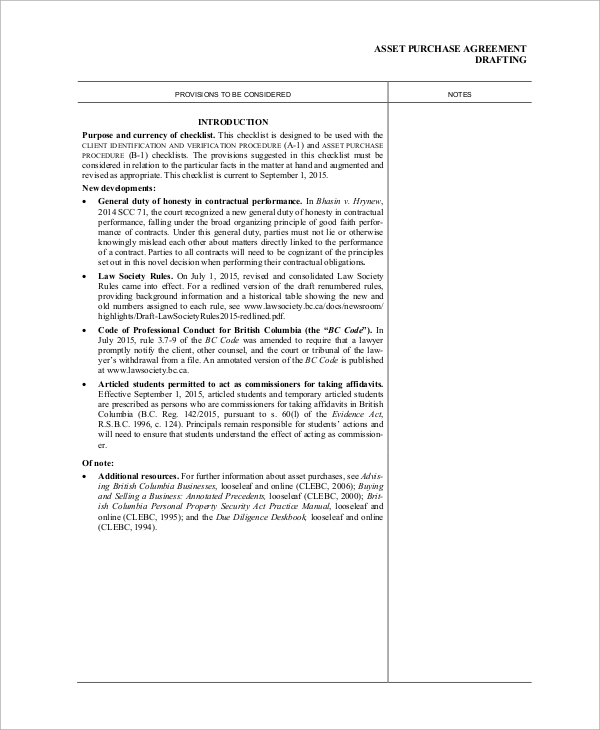 This document consists of some definitions related to the agreement. 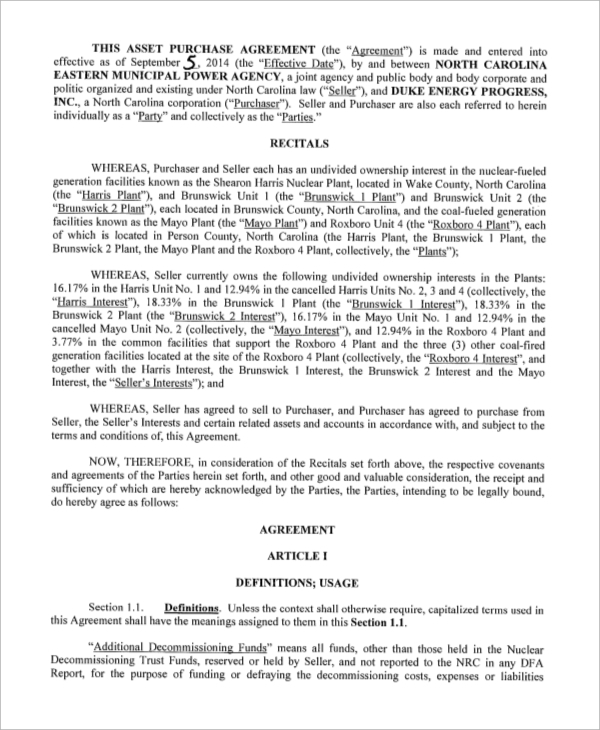 Then the terms of the agreement are clarified in separate sections with different subheads. It includes the contact and payment details as well. 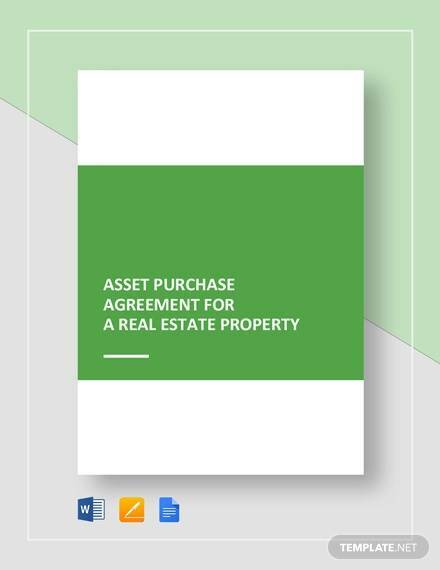 These Asset Purchase Agreements start off with the contents, highlighting the different issues inside the document. 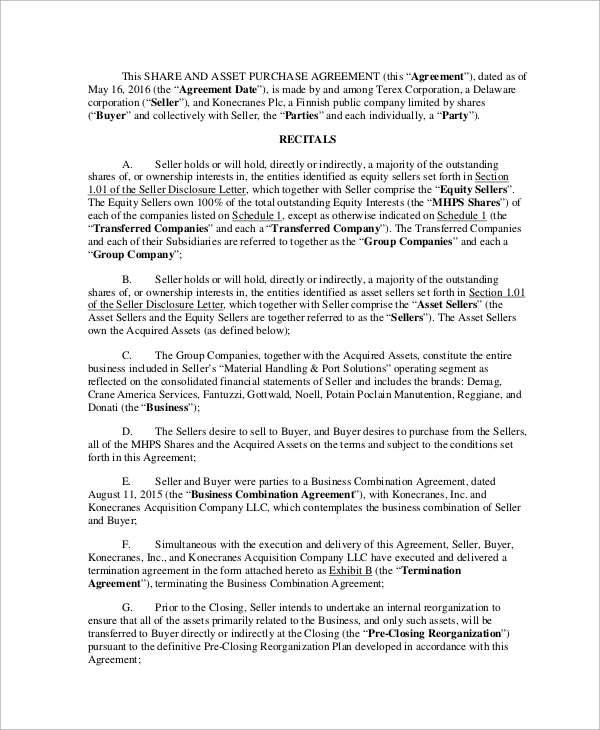 There are separate sections in the agreement, dealing with each of the arenas of the agreement. Corporate firms and individuals deal with various types of assets, and these include a heavy transaction of money. Apart from this, a lot of planning is required to ensure that there is no hassle in dealing with the assets. There are certain preliminary agreements regarding the business and sometimes the plans are altered in future. Apart from these, the closing and pre-closing phases are crucial in the business. To ensure that all the plans go fine and fair, you need to sign these agreements. 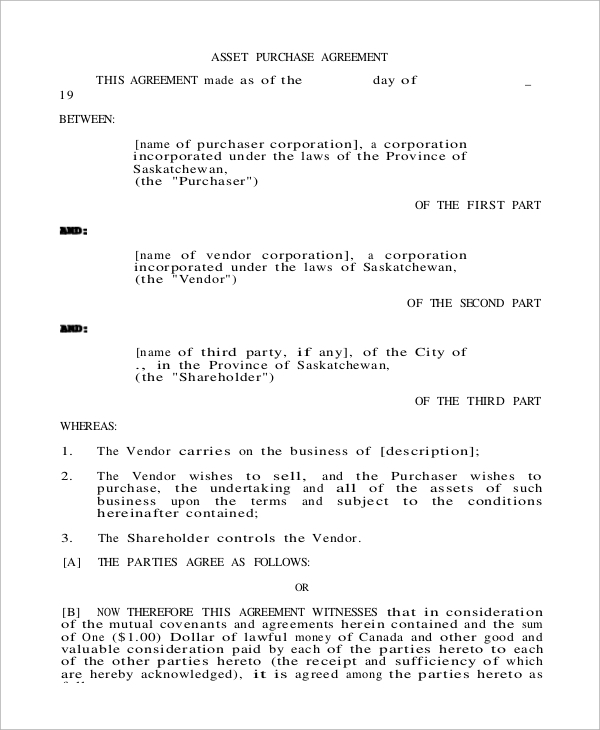 All the particulars regarding the agreement are included in this document. There are some general provisions for both the parties too. 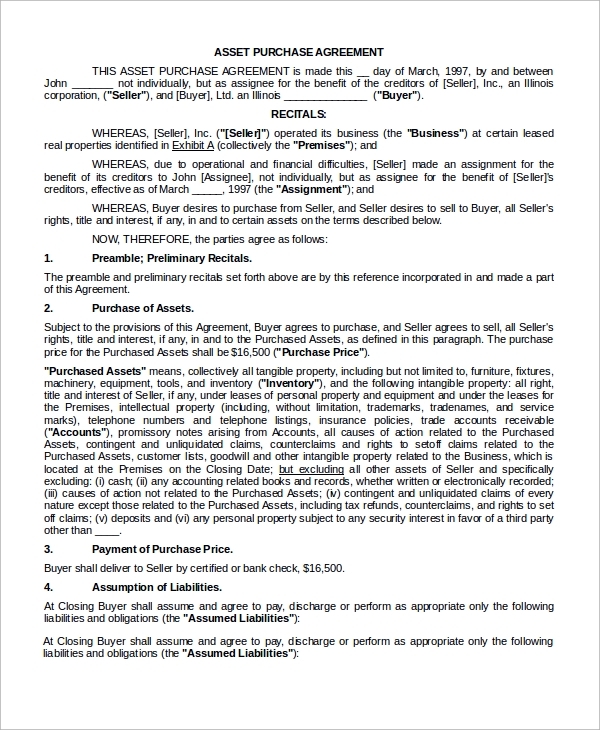 You can also see the Business Purchase Agreements. 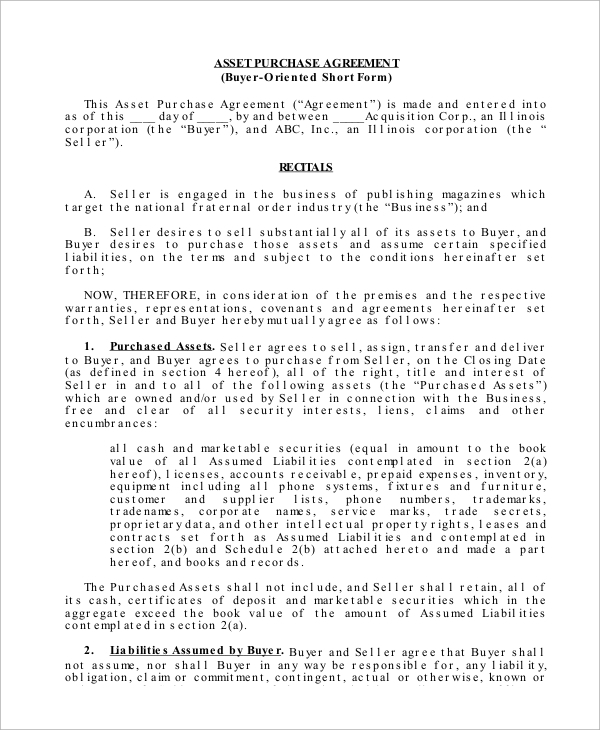 The price, terms, and contingencies of the assets are mentioned in the agreement. 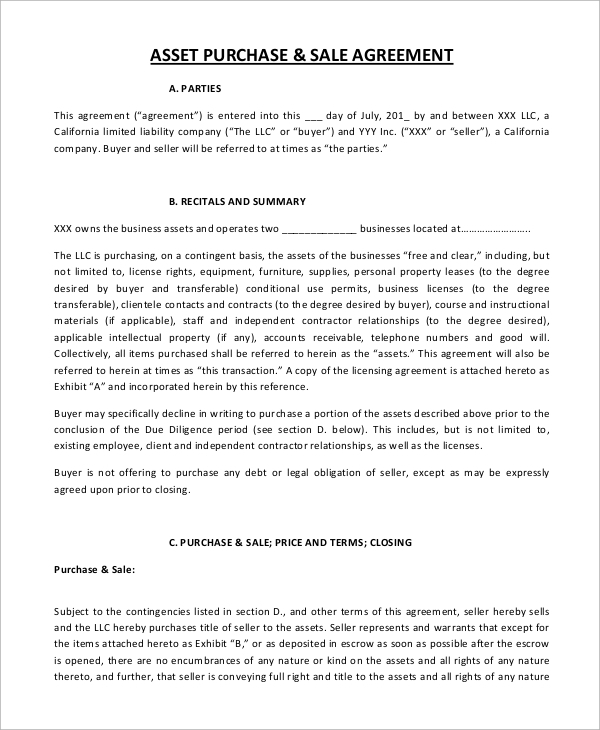 These are formatted in the form of paragraphs, with blank spaces in between to be filled up with the terms of the agreement. 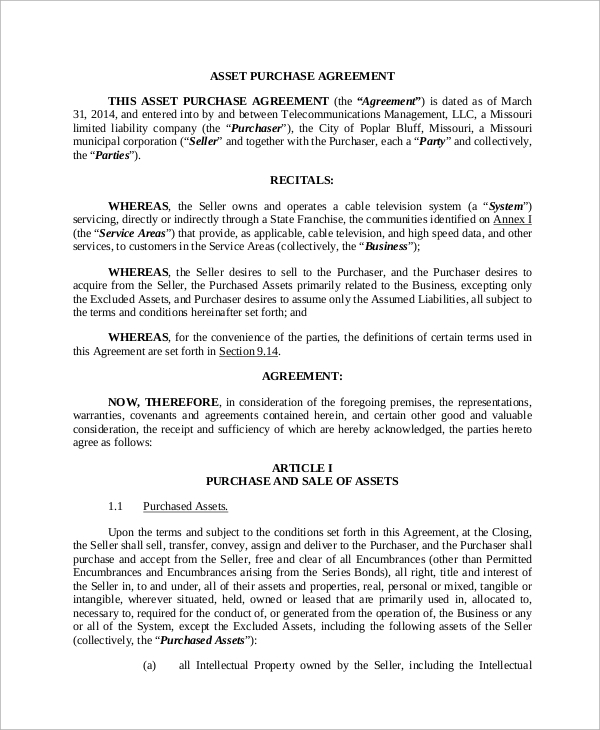 These Purchase Agreements are signed with restrictions on the publicity. All the terms are signed between the two parties confidentially. The template has a paragraph format, and all the details are specified in different sections. 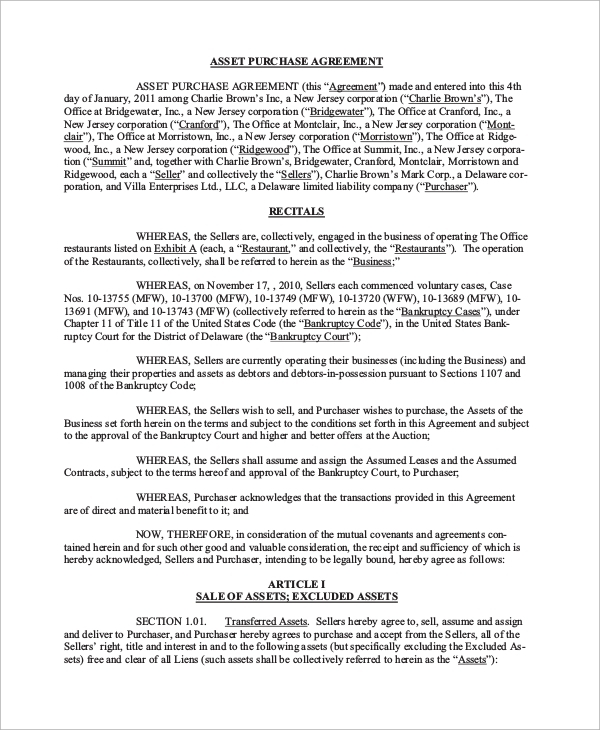 How to structure these agreements? At the outset, you need to specify the features of an asset that is to be sold or purchased. If there are any warranties or repressions, they are clarified in the template. 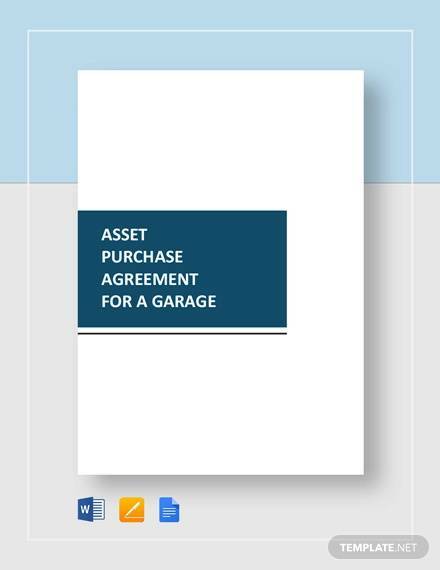 When you sign the Sample Asset Purchase Agreement, you should be careful about the specifications related to the condition of the asset. For instance, if you plan to buy a car, you have to mention the conditions of all the separate parts individually. Purchasing or selling an asset involves legal norms as well. You need to abide by these norms while signing the deal. You may also need Sample Commercial Purchase Agreements or Sample Business Purchase Agreements and all these are available in the website. You can browse through the portal and download all your requirements.